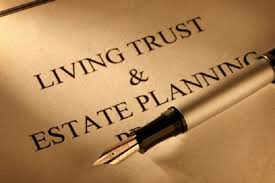 Generally, a simple estate plan will consist of 1) a trust; 2) a pour-over will; 3) a general assignment of assets to the trust; 4) a power of attorney; and 5) a health care directive. Each of these documents comprises an important part of the plan and ideally will work together to effectively preserve your assets for your loved ones, avoid probate, and make distributing assets after your death efficient and cost-effective. In some situations, a person may not need all of these documents. However, each situation is different, so it's important to consult with a qualified attorney in your area to determine your needs. Regardless of your assets, nearly everyone would benefit from a health care directive to let loved ones and health care providers know what type of health care to apply in the event of illness. In addition, those with minor children should have a will that nominates guardians for the children in case the person dies while the children are still minors. A will or other document can also spell out what type of memorial service, burial, and related matters a person would like. This can avoid stress for surviving loved ones and avoid conflicts. A power of attorney document may also be useful to allow a trusted loved one to make financial decisions for you if you become incapacitated. Many types of assets, such as retirement plans, some securities (stock) accounts, and others have beneficiary designations. This means these assets will pass to the named beneficiaries without a will or the need for formal probate. Without a proper estate plan, however, assets without a formal beneficiary designation may not pass to your heirs without formal probate. Probate is a court-supervised legal process of authenticating a will, paying debts of the estate, and distributing assets. This process can be expensive and time-consuming. A properly executed estate plan can avoid probate, and allow your loved ones to quickly and privately settle your estate without unnecessary cost and hassle. Contact the Faerber Law Firm, PC today at (801) 943-1005. We will be happy to provide an initial estate planning consultation for free. We offer affordable estate planning packages for those with simple estates.